Wing Commander Abhinandan Varthaman’s actions have established the tone for the Indian Air Force’s approach in an air battle if the standoff with Pakistan escalates. Details of the aerial combat on Wednesday morning suggests the MiG21 combat pilot locked and fired at a Pakistani F16 scapegoat along the Line of Control. Sources who did not wish to be identified said the engagement started when at least ten Pakistan Air Force (PAF) aircraft were seen heading for military targets along LoC. A combat air patrol, which had at least two MiG21 fighter jets and Su30MKI fighters, was launched from the Indian side to retain them. Varthaman managed to let off a short-range R73 missile against an intruding F16, which guided it down. Through the engagement, his MiG21 crossed LoC to retain the lockin on the purpose and was shot down either by a surface-to-air missile or another Pakistani jet. Sources declared the Pakistani jet was a twin-seater and that the fighter formation had taken off from three different bases. The Pak jets retired without causing any damage in India. “There is corroborating evidence that an F16 engaged was shot down. It was engaged by our MiG21 Bison fighter,” an officer who did not wish to be named said. Pakistan has released videos of Varthaman and pictures of the MiG21, but there is no evidence yet of the downed F16. However, officials said ground troops saw the Pakistani jet going down. Activity has heightened along the Indo-Pak border and commercial flights have been dangled. Sources said IAF has canceled the leave of all essential personnel and they have been assigned operational duties. 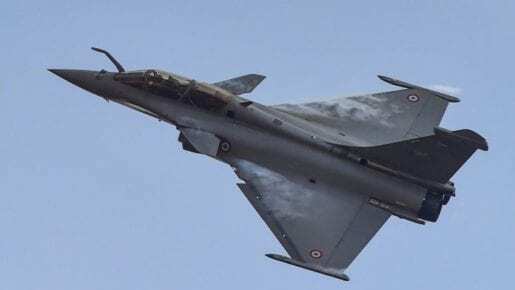 Though the next step will be taken by the political leadership, IAF’s options include an escalated air engagement with Pakistan, which has a hugely inferior number of combat jets. In case of an escalation, IAF can undertake shallow air raids to draw out PAF jets and engage them with a superior force.